"I didn't know what I was hungry for in worship until I saw your banners." "I had a hard time putting your book down last night. I'm looking forward to spending many more hours with it. You've done a magnificent job." 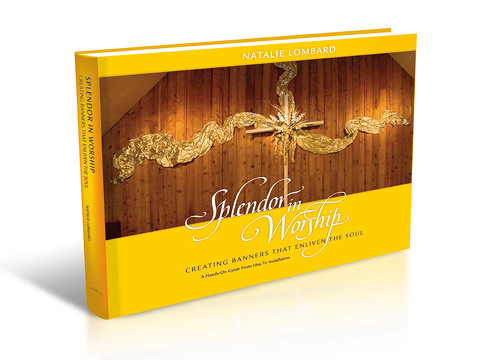 "Your book is beautifully produced and filled with insight about art and worship. I can't think of anything like it available today. It is a masterwork and I am sure it will remain the definitive work on art and worship for the foreseeable future." Natalie Lombard has given churches of all sorts a wonderful gift. This book on banner design offers us all a go-to resource that will be useful in any setting. Every church should own this book. "The value of this book is two fold: it gratifies the aesthetic side of banner making for the worshipper and it furnishes the public with remarkably clear and candid information for which the term “how-to” is barely sufficient."